One of the many services we offer is making models for adverts. From small items scaled up to large objects scaled down,using models in advertising is usually much more practical than using the actual object. They often look better than the real thing too. Small objects can often have more impact if they’re scaled up. For example we have previously produced a giant electric toothbrush for a client.This was used at trade exhibitions internationally next to scaled up tubes of toothpaste and a huge model of a tooth that we made to go alongside it. If you are advertising a small object, it can sometimes be difficult to make it stand out in an advertisement. By scaling it up, it not only becomes more impactful but also shows more of the detail and features. On the other hand, if you are advertising something large, it may not be practical to use the real thing in the advertisement. An example of this would be when a new building development is being advertised.Firstly it would be way too big to practically use on an advertising set and secondly building projects are very often advertised long before they are actually built. Creating a scaled down model to show proportions and layout is an ideal solution to this problem. Another example would be advertising cars. An actual car may be too big to use on set. In addition, if certain special effects are required, they may be a lot easier to create using scaled down models, not to mention safer and a lot less expensive. Take a look at our case study of a project we worked on creating three scaled down models of cars for filming. It is obviously of paramount importance that scale models used in advertising look convincingly realistic. To achieve this we can exploit a variety of different technology and production methods depending on the brief and the materials used. 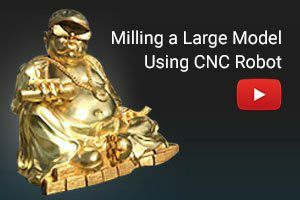 3D CAD data allows for scaling models up and down in very little time and the model can then be built using CNC milling, CNC turning, vacuum casting, metal casting, rim moulding, SLA, SLS and/or PMMA rapid prototyping. Even small details can be retained on scaled down models and accuracy is also ensured in scaled up models, so there is no compromise on how realistic the end product looks. At JH May we employ the latest technology and our model makers have a broad skill base, allowing us to produce a wide variety of model types in an equally diverse range of materials. We also understand that our clients are often up against tight deadlines, particularly in the advertising industry, and so we offer short lead times without any compromise on quality. Offering the full package of model making services also makes us very cost effective, as we are able to handle projects from the initial design stage right through to final production of the models.